Research exploring the lack of access to and availability of public land for the development of affordable housing. To understand ways to increase access to and availability of public land for the development of affordable housing and to provide knowledge of where there is land which could be made available for affordable homes. Increased access to land and properties currently not used as homes. New Economics Foundation (Nef) is researching how the land market provides opportunities for affordable housing. 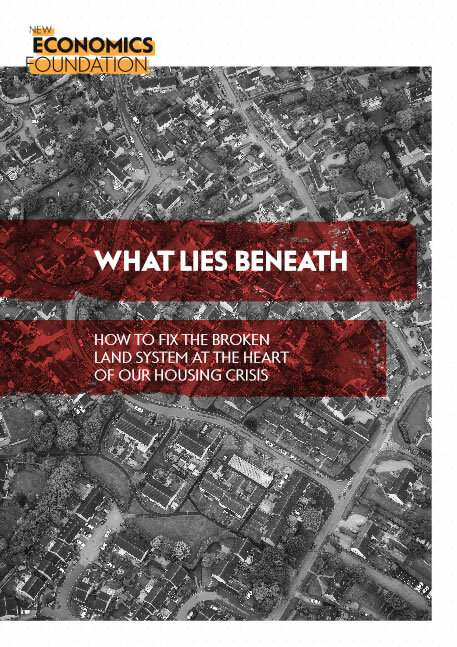 Nef believes that selling off public land is fuelling the affordability crisis and that inflated land values are incentivising the development of poor quality, unaffordable homes. Nef wants to make the case for ways that land can be put to better public use. Nef is exploring the lack of access to and availability of public land for the development of affordable housing. This supports Nef’s ambition to instigate up to five new medium or large scale community-led housing developments, providing 5,000 new affordable homes on public land sites that are due for private sale within five years. 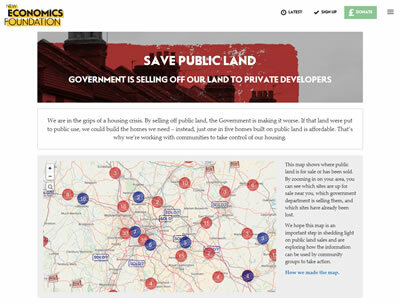 As part of this work Nef has launched an interactive website highlighting where public land is available and has also written this easy to follow community guide to help groups to acquire land.